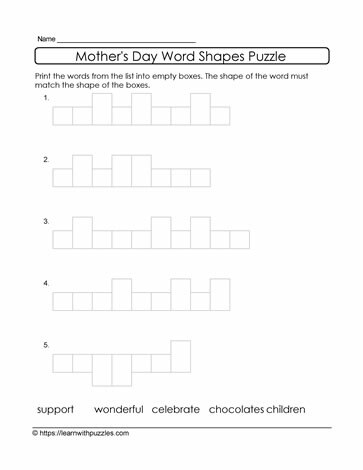 Mother's Day word shapes to help with early learning strategies for reading and writing skills. List of 5 words are all related to moms. Suits students in primary grades 2,3 classrooms, homeschooling and tutoring resources.